Alberto VO5 recently declared August National Anti-Frizz Month to help women battle this leading barrier to looking and feeling beautiful during the stickiest time of the year  and for many, all year long. 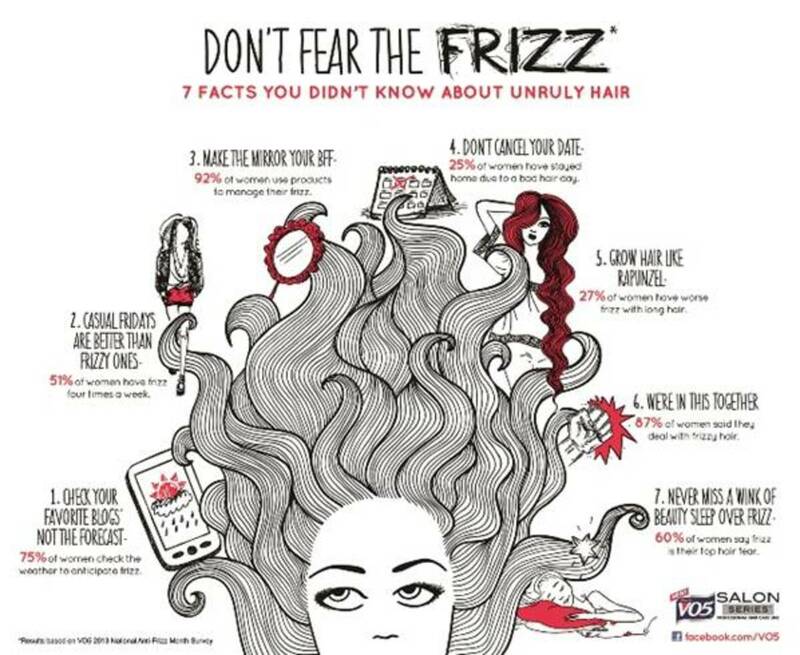 As our survey affirmed, if every hair type has a common enemy, it is frizz. Managing frizz can add so much time to our morning routines, said Nina Riley, VP of Marketing for Alberto VO5. The heritage of Alberto VO5 hair care products is helping women look and feel their beautiful best during even the toughest conditions, at a price everyone can afford. To help combat frizz, VO5 Salon Series products have a unique blend of five essential vitamins and eleven revitalizing oils that provide professional results from roots to ends. The full line includes Hot Oil Therapy Moisturizing Treatment, Smooth + Sleek Shampoo and Conditioner, Color Shield + Radiance Shampoo and Conditioner, Hydrate + Nourish Shampoo and Conditioner, Full Body + Shine Shampoo and Conditioner, Anti-Frizz & Shine Styling Cream and the Simply Stunning Leave-In Conditioner for the ultimate anti-frizz protection. For more information on Alberto VO5 Salon Series products, please visit www.vo5haircare.com orwww.Facebook.com/VO5.